Dubai, already having penned a similar agreement with China’s eHang, will start test runs of autonomous air taxis in 2017 with the Volocopter. 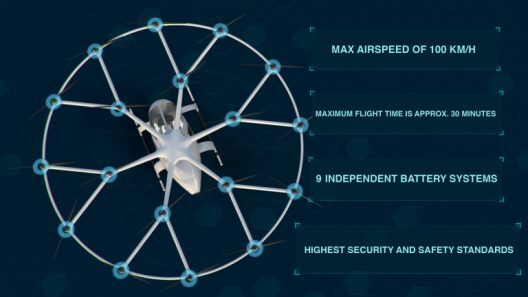 The Volocopter 2X, according to its makers, is simply foolproof, having 100 microprocessors and a large number of sensors helping maintain vehicle stability, even in turbulence. Volocopter has demonstrated hands-free flight on several occasions. The Verge notes that Dubai is, “A testing ground for some of the transportation world’s more futuristic and outlandish ideas.” Tests start in the fourth quarter of 2017, and are scheduled to last five years. Alexander Zosel, co-founder of Volocopter, said, “We are very grateful and proud that the RTA has selected us as their partner after rigorous testing,” adding that his company’s “stringent safety standards” were one of the reasons for that selection. Volocopter’s prototype VC200 took its first crewed flight last year. 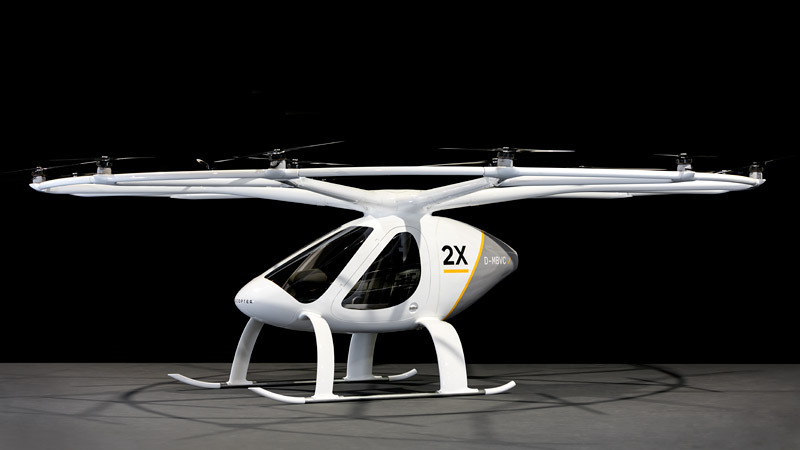 And at Europe’s largest general aviation trade fair earlier this year, the company revealed its first production model: the 2X. It has a maximum range of 17 miles when flying at a speed of 43 mph. Its maximum flight time is 27 minutes at an optimal cruise speed of 31 mph, but if range were no concern, the 2X can fly at a maximum speed of 62 mph. The English Publication, The Engineer, gives a few technical points. “Designed and built in Germany, the Volocopter can fly autonomously using 18 individual rotors powered by nine swappable batteries. The aircraft has a top speed of 100km/h [62 mph] and maximum flight time of around 30 minutes.” If all goes well, RTA looks forward to seeing a quarter of all trips in Dubai carried out by autonomous transport by 2030. Earlier this year, Chinese company eHang signed an agreement with the RTA to begin testing their single-seat 184 as an on-call aerial taxi. Since the two vehicles carry different payloads and have similar vertical takeoff and landing capabilities, comparisons will doubtless be made, but both will have to demonstrate reliable operation under the Dubai sun. Kittyhawk Aero recently demonstrated its Flyer for an appreciative San Francisco audience. It made your editor wonder if Kittyhawk could provide low-altitude commutes to one’s private island four kilometers from the central city, while e-Volo and eHang stage a friendly competition above. The “select few” who prosper in this rich city will probably jump on board. Warning: a real-estate pitch follows – but also provides a glimpse of what it would be like to fly over and through this astounding city.